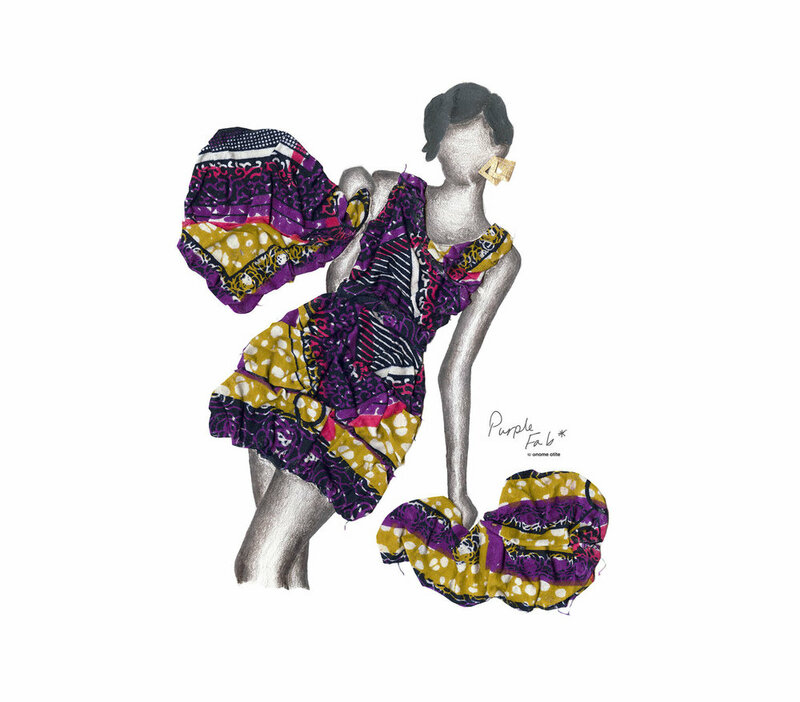 This series reflects how costume is adopted by the African Diaspora. 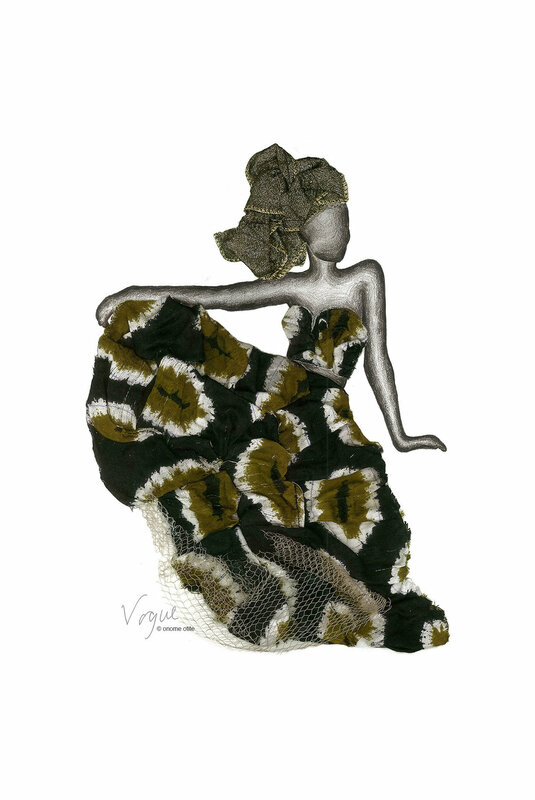 The traditional West African textiles Onome has encountered inspire her designs and helps to weave a cultural narrative into her work. 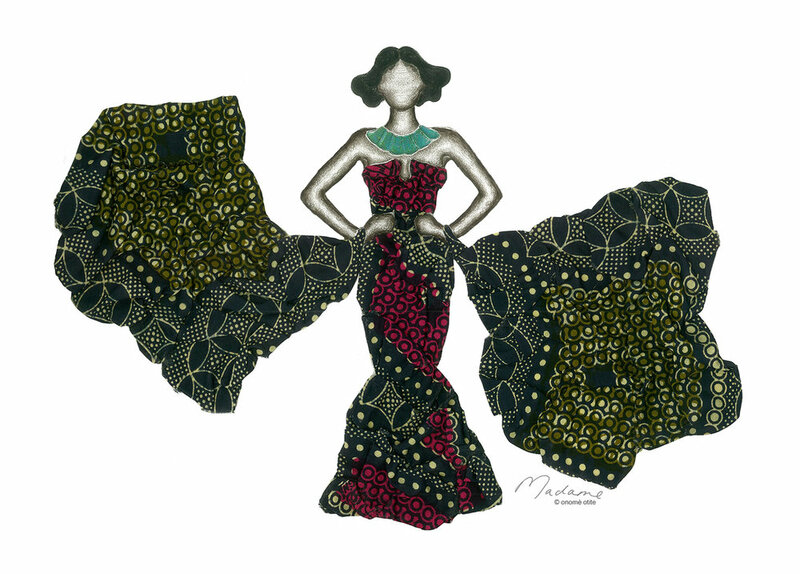 Each figure reflects the many characters of the styled West African woman! 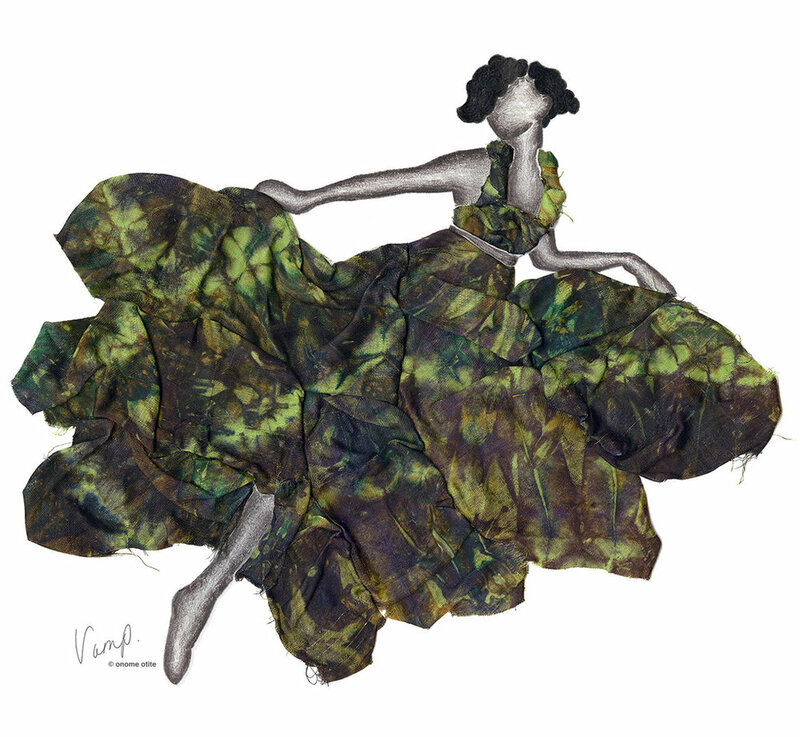 These artworks are also a response to fashion imagery, seen by the artist at exhibitions, fashion shows and editorials. Onome looks at fashion designers that are visionaries of their craft – using clothes as a form of expression. She studied how fashion models use body language to sell clothes to consumers and her images reference western clothing in traditional Wax Print.